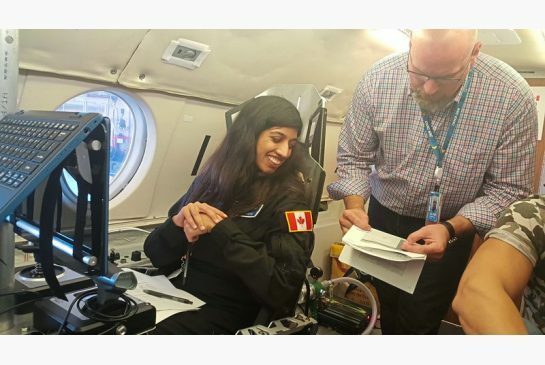 Twenty thousand feet above Ottawa, Shawna Pandya floats gently out of her seat and executes a graceful midair swoop. Our Falcon 20 jet is halfway through a series of parabolas, which produce brief periods of microgravity, the classic “vomit comet” flight profile used to train astronauts, give adventurous tourists a taste of space, and film cool music videos. 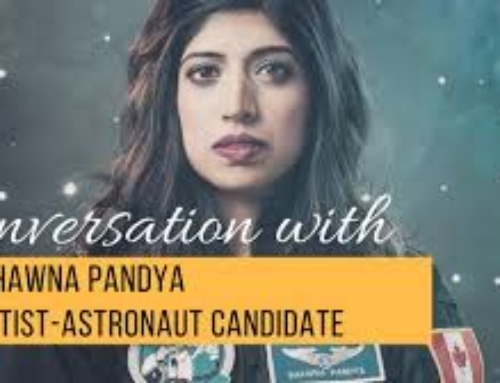 But Pandya, a 32-year-old physician and astronaut wannabe, is not here for any of those reasons. 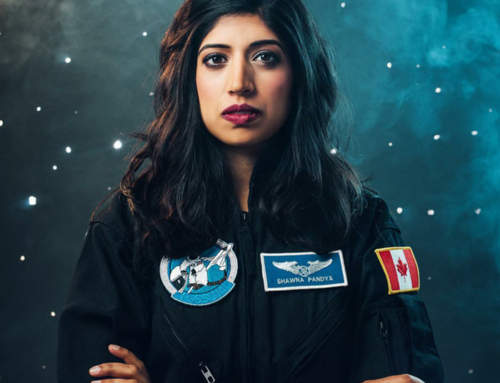 She is testing an advanced spacesuit from Final Frontier Design, a startup co-founded by a designer who previously crafted costumes for Victoria’s Secret fashion shows. 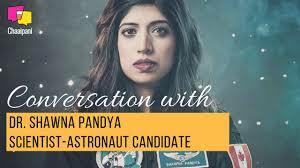 During this parabola’s 18 seconds of microgravity, Pandya must return to her seat and attach a five-point safety harness. It’s a task that Paul Kissmann, chief test pilot at Canada’s National Research Council and the man flying the Falcon, thinks is next to impossible. 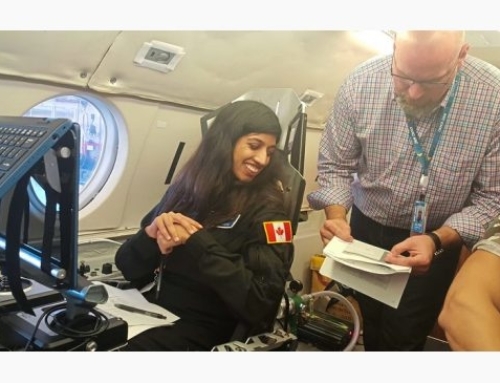 If the remaining parabolas go well and Pandya succeeds, the flight will be a huge step toward the pressurized tests that Final Frontier Design’s suit must pass before use on real space missions. For many scientists, astronauts, and entrepreneurs, that day can’t come soon enough. 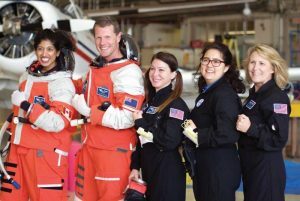 For over half a century, the provision of spacesuits for U.S. crews has been a virtual duopoly, with one company providing the inside, or intravehicular activity, suits for ascents and descents, and a second company manufacturing the outside, or extravehicular activity, suits for spacewalks. Innovation hasn’t been a priority. The orange intravehicular “pumpkin suits” worn by hundreds of space shuttle astronauts, for instance, are little different from those worn in 1959 by test pilots flying North American’s X-15 rocketplane to the fringes of space. Things are about to change. NASA’s plans include sending astronauts to lunar orbits, and possibly to the moon’s surface and Mars—missions that will require new suits that are simpler, lighter, more reliable, and versatile enough to deal with everything from working in microgravity to weathering dust storms. 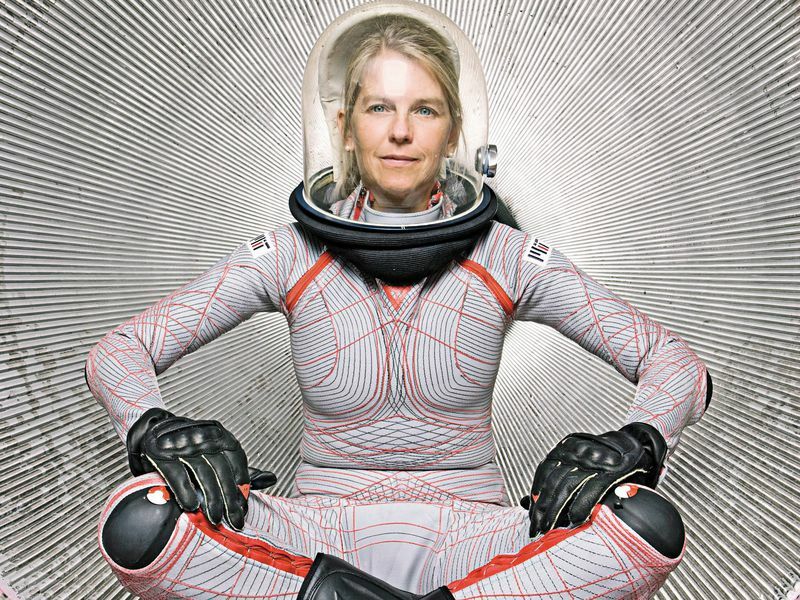 Commercial space isn’t far behind, with private companies developing their own suits for orbital travel, to say nothing of flight wear for the impending throng of space tourists. All will need the new materials, designs, and technologies on the horizon. For the billions of us at ground level, Earth is our spacesuit. The planet’s magnetic field helps preserve the ozone layer, which in turn shields us from dangerous ultraviolet radiation; a thick atmosphere burns up most incoming rocks; and natural processes generate the air we breathe. For the lucky few orbiting above, a spacesuit must provide the same protections as a planet, in something small enough to wear. While the need for an extravehicular spacesuit is obvious, the value of an inside-the-vehicle suit has been a hard-won lesson. In an ideal world, a spacecraft would maintain a pressurized, breathable atmosphere, cushion its travelers against G-forces and impacts, and protect them from both the freezing cold of space and the burning heat of reentry. In the past, both U.S. and Soviet space programs envisioned shirtsleeve interiors where astronauts and cosmonauts could operate as they would in an airplane or even an office. For the Soviets, that view changed in 1971, when the Soyuz 11 capsule depressurized during reentry, killing the three cosmonauts within. It took the Challenger disaster in 1986, whose crew also suffered depressurization before impact, for NASA to mandate inside suits during space shuttle launch and reentry. “For ascent-descent suits, the main concern we have is survivability,” says Jason Crusan, director for Advanced Exploration Systems at NASA. “We don’t see a huge need to evolve these suits right now.” NASA will continue to use a modified pumpkin suit for its Orion missions to Mars in the 2020s, and probably beyond. But not everyone loves the old-fashioned suit. It is this Russian approach that inspired Final Frontier Design’s intravehicular suit. The highly adjustable outfit has metal parts made by 3D printing and custom-made gloves with molded fingertips that work with touchscreens. The company says its final suit will be 10 pounds lighter than NASA’s current inside suit and about a third of the cost. As suborbital travel becomes a commercial reality, Final Frontier Design will also target users intending to wear suits throughout a mission. 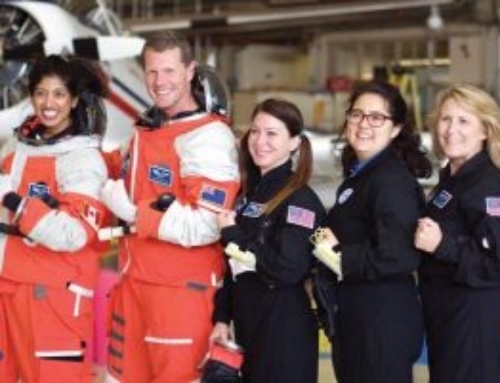 The fine motor control offered by the suit, for example, caught the eye of Jason Reimuller, executive director of Project PoSSUM (Polar Suborbital Science in the Upper Mesosphere), a citizen-science astronautics program. Reimuller hopes to use suborbital flights to study noctilucent clouds, the highest in Earth’s atmosphere. These mysterious clouds were first observed in 1885, but through the years sightings have been increasing, perhaps due to climate change. “We think if we understand noctilucent clouds better, we can address fundamental questions of how energy and momentum are transferred in the upper atmosphere,” says Reimuller. That will require a scientist to deploy cameras, sample probes, and other equipment from a spacecraft flying near the clouds. Many of the tests Pandya undertakes during our microgravity flight simulate work with this instrument suite. Today’s extravehicular suit, known as the extravehicular mobility unit (EMU), dates back to early space shuttle missions in the 1980s. ILC Dover ditched rubber in favor of plastic, replaced the zipper, and increased the ability to support life from six hours to eight. But the EMU is still an awkward suit to prepare, put on, and use. One big issue is pressure. The EMU is maintained at 4.3 pounds per square inch (psi), about a third of the air pressure found at Earth’s surface and inside the International Space Station. The difference in pressure requires astronauts to complete a lengthy “pre-breathe” in pure oxygen that purges nitrogen from the bloodstream to reduce the risk of decompression sickness. A 2012 NASA study found that astronauts who performed five or more spacewalks were over twice as likely to have had shoulder surgery compared with astronauts who performed just one. Even simply training for spacewalks in NASA’s Neutral Buoyancy Laboratory—essentially a giant swimming pool—was hazardous. Completing 90 or more underwater training runs while wearing the bulky suit significantly increased the risk of shoulder surgery. If a spacesuit in water can be injurious, water in a spacesuit could be fatal. That’s what happened to astronaut Luca Parmitano on a spacewalk in 2013 (see “The Spacewalk That Almost Killed Him,” Feb./Mar. 2014). Due to a malfunction in his suit’s life support system, water leaked into his helmet, quickly finding its way into his ears, eyes, nose, and mouth. Luckily, a swift return to the airlock prevented asphyxiation. A similar thing happened to Tim Kopra three years later (though with a much smaller amount of water), but by then NASA had installed a fix: a plastic straw running from the helmet into the suit’s body to act as a snorkel in an emergency. 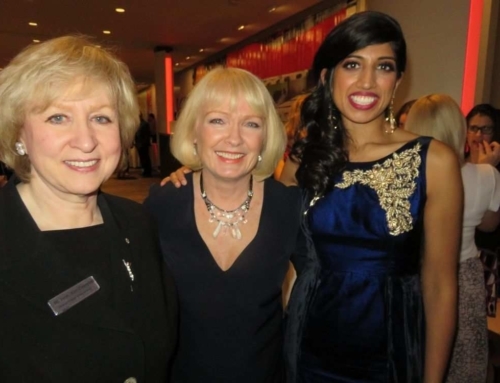 “Sometimes we get surprised by these things,” says Kopra. “But the good news is that we’re really good about developing hardware and operational solutions to help mitigate the risk.” Astronauts’ ability to MacGyver their way out of trouble is reassuring, because NASA has no plans to replace the problematic EMU in the immediate future. “We would love to start generating a new [International Space Station] suit for NASA,” says ILC’s Ayrey, “but the cost of doing that for a mission that could be [finished] as soon as 2023…where’s the incentive?” Instead, NASA is looking further afield, to trips to the moon and Mars. There, the EMU’s fixed, immobile lower body will be next to useless. “In the future, you want flexible joints at the waist, at the knees, and even the ankles,” says NASA’s Jason Crusan. “You’re going to need full-surface mobility and the ability to walk, crouch down, turn sideways at the waist, and to recover from things like falling over.” Astronauts will also want a wider field of view to be able to work efficiently in unstructured planetary environments. ILC Dover and NASA are working on an extra­vehicular suit called the Z-2, which adds the necessary articulation, as well as updated life support systems and modern electronics like a head-up display. A rear-entry port gives the suit—along with any annoying lunar or Martian dust—the ability to dock to the outside of a landing craft or rover, enabling astronauts to climb straight in. This sounds convenient, but would entail a drastic simplification of the suit-donning process, which today has “probably a thousand different little checks,” says Kopra. Excursions on the moon and Mars will be much more common than on the space station—that’s the whole point of sending human explorers. To eliminate pre-breathes, NASA plans to operate planetary habitats and rovers at a reduced pressure, and at the same time bump up the Z-2 suit to 8 psi, with rigid fiber and resin composite panels to provide support. “The Z-2 is significantly lighter than the Apollo suit,” says Crusan. But it still weighs too much. “If we can’t get the mass to where it needs to be, we’re looking at robotic assistance within the joints.” Motors in the legs and arms would automatically detect motion and drive the suit in the right direction. Robotic gloves could also help maintain grips on objects. NASA has already built such a glove with General Motors, which hopes to deploy similar technology to reduce manufacturing injuries on car assembly lines. However, all this machinery would pile on more mass and complexity, moving NASA further from its goal of simpler spacesuits that can be maintained millions of miles from Earth. One radical idea is to remove pressurized air from spacesuits (almost) altogether. Spacesuits must somehow provide both oxygen and pressure. Death from oxygen deprivation occurs within minutes. And when air pressure dips too low, water and dissolved gases in tissue and blood start to vaporize. But only our heads need to be surrounded by breathable pressurized air. Elsewhere that life-sustaining pressure could come from some force physically squeezing our bodies. 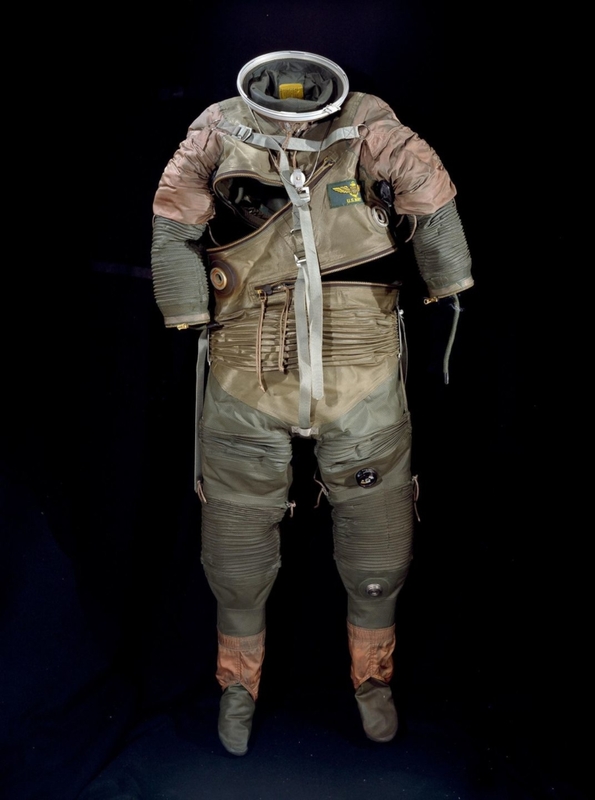 NASA experimented with such mechanical counter-pressure suits as early as the 1950s, using foams and elastics. The suits were bulky and difficult to don and doff, but offered superior mobility. They promised to be inherently safer too. In an inflated suit, a small puncture, say from a micrometeorite, could threaten critical breathing air and pressure. Puncture a mechanical counter-pressure suit and the astronaut will likely suffer nothing worse than local bruising. Mechanical counter-pressure technology has other proponents. In 2007, artist Ted Southern entered NASA’s Astronaut Glove Challenge as part of his thesis for a master of fine arts at the Pratt Institute in Brooklyn, New York. His glove, built with veteran Russian spacesuit designer Nikolay Moiseev, ultimately won the pair second prize and $100,000—sufficient seed money to found Final Frontier Design. Many years of development and tests lie ahead, of course, as well as technical challenges. Tim Kopra worries that with potentially hundreds of mechanisms, a mechanical counter-pressure suit could be more prone to failure. Perhaps the private sector will be more daring. SpaceX is already designing its own inside suit for upcoming commercial crew missions to the International Space Station, and is presumably thinking about an outside spacesuit for Elon Musk’s proposed Mars colony. Much of this work is happening behind closed doors, although we do know that Musk hired Hollywood costume designer Jose Fernandez to give the company’s suit a futuristic aesthetic. Orbital Outfitters is another startup that was developing an intravehicular suit, the IS3, for suborbital travel. The suit had biometric sensors, noise-canceling audio, and a life support system that could function for half an hour in a complete vacuum. However, the IS3 was primarily designed for the XCOR Lynx vehicle, whose development has since stalled. Some private space companies are even questioning whether their future includes spacesuits at all. World View is offering rides to the edge of space in a capsule hauled slowly aloft by helium balloons, and imagines passengers wandering its cabin in everyday clothes and sipping drinks at a bar. The capsule will carry extra gas to cope with small leaks, and according to the company’s website, the trip can be terminated at any time. Rocket flights are much more energetic, so their flight plans are less flexible. Nevertheless, Blue Origin, planning for rocket ascents to 100 kilometers (62 miles), touts “the largest windows in spaceflight history” and non-pressurized flightsuits. 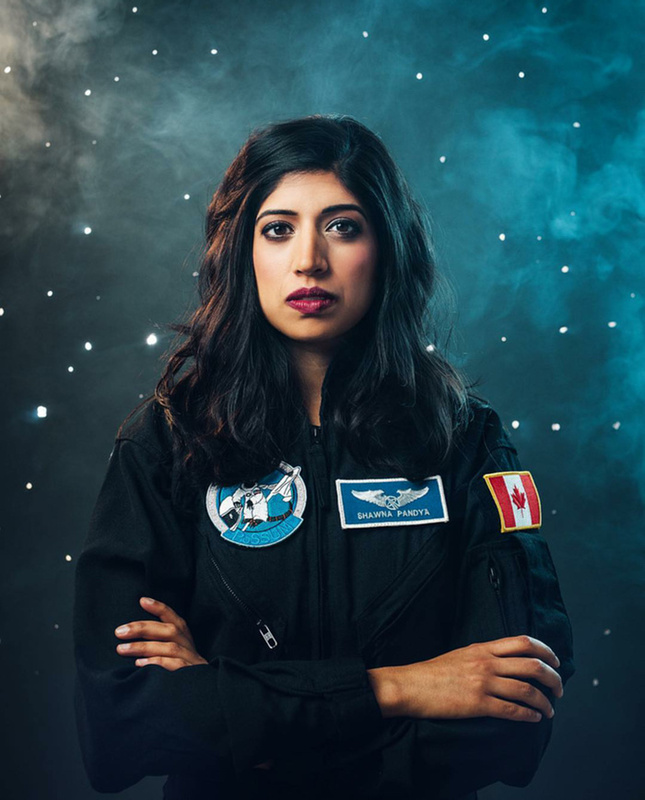 Back onboard the Falcon 20, Shawna Pandya completes her simulated Project PoSSUM tasks, carries out exercises in Final Frontier Design’s intravehicular suit, and manages to reattach the five-point safety harness in record time. When we touch down at Ottawa’s airport half an hour later, she has a big smile. “One of the things that really impresses me is the range of motion when I’m doing fine-motor movements,” she tells me. Spacewalk-weary astronauts might take issue with that, but with new suits and new uses being designed by space entrepreneurs, more of us will have the opportunity to decide for ourselves. It’s a pity you don’t have a donate button! I’d most certainly donate to thisbrilliiant blog! I guess for now i’ll settle for book-marking and adding yourRSS feed to mmy Google account. I look forward to fresh updafes and will share this websitewith my Facebook group. Talk soon! I really loved this post. I keep trying to get the word out to people that we need to keep our respected fashion designers. It is a STEAM profession. If they have technical design background like myself, we know the body and it’s needs. It’s a big mathmatical and physics based problem. External force, internal force & needs, chemistry for textiles, as well as universal suits for body types. I usually design using a muscle sleeve on a form. This helps a pattern get made according to how the body and vascular system work. Love this article has a fusions if everyone involved as it does take a team. Thanks for writing this. I will share it on my network.